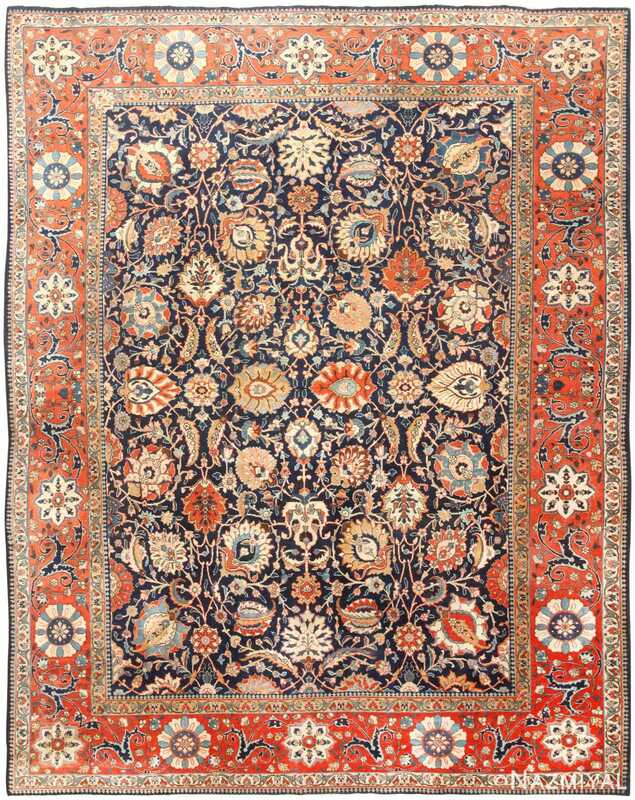 Antique Tabriz Carpet, Country of Origin: Persia, Circa 1900 — Bold, complex, and stunning, this magnificent Persian carpet boasts rich color, breathtaking intricacy, and flawless artistry. This marvelous piece begins with a series of distinct, narrow borders rendered in alternating hues of cream, crimson, and blue. These frame a magnificent crimson border overlaid with a stunningly complex pattern dominated by the peony, a traditional motif symbolizing power. 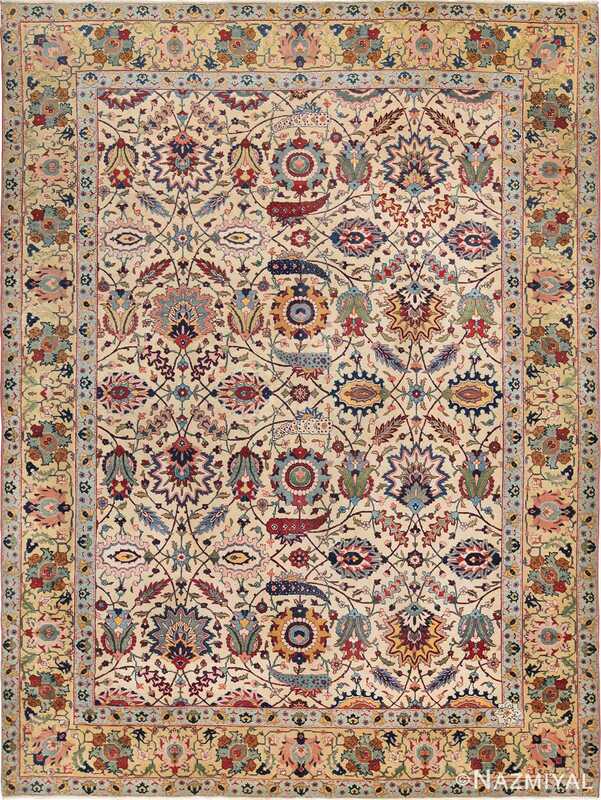 Three narrow borders follow, framing the complex heart of this spectacular antique rug. A field of pale gold forms the base, contrasting with the breathtakingly intricate, mulithued design. 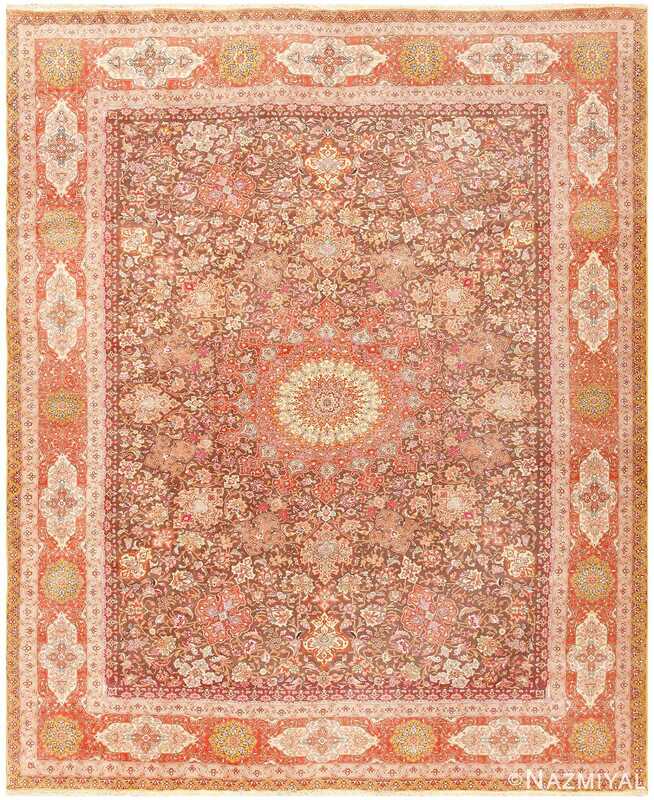 This soft, natural geometry circles a dramatically beautiful crimson medallion. 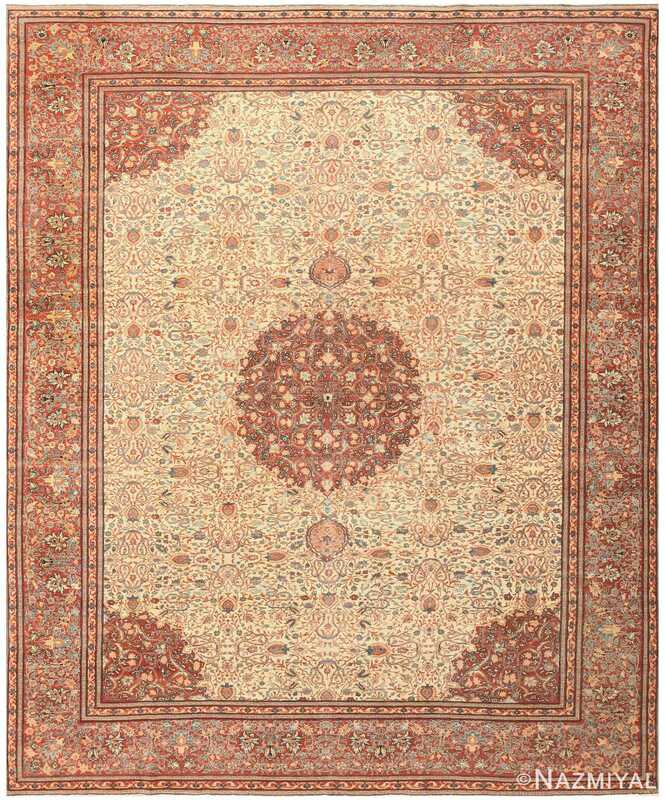 Superb and striking, this stunning carpet ensures a magnificent artistic statement. Intricate, elegant and richly colored, this glorious antique Tabriz rug epitomizes the extreme beauty and sophistication of Persian and Safavid design traditions.